It was he who immediately undertook all needed repairs and even beautification of the shrine of the Virgin, mostly at his own expense. It was he who saw to it that solemn and magnificent rituals be held regularly in honor of the Virgen de la Soledad de Porta Vaga. It was he who decided to leave his religious order to become a member of the diocesan clergy in order to remain with his parishioners in Cavite. And it was he who chose to stay with his flock amidst the dangers and suffering of the Second World War. Monsignor Pedro Lerena y Lerena was the Soledad’s most dedicated devotee whose legacy in Cavite will forever be remembered in the hearts of those whose lives he touched and made more devout. For Cavite old-timers, they remember Fr. Lerena as one who baptized them, married them, blessed their beloved dead, and who stood by their side experiencing with them the anguish, perils and pains of a cruel war, and still lives to this day. For who would easily forget a father whose loves and dedication to his flock made him spend almost half a century 47 years to be exact, of his life in Cavite? Padre Pedro, as he is known to almost five generations of Caviteños, was born to a wealthy couple. Don Victor Lerena and Dona Joaquina Lerena, on January 31, 1901 in Berceo, Logrono, Spain. His Parents were his first religion teachers. Every Sunday, his father would bring him to Church and they would teach him how to genuflect before the Blessed Sacrament. When he was old, Pedro studied Latin at San Millan de la Cogolla in Logrono Spain. He studied philosophy at the Recollect Mission Seminary in Monteagudo, Navarra, and his Sacred Theology at the Seminario de los Recoletos in Marcilla, Navarra. On June 14, 1925, he was ordained to the priesthood by the most Rev. Mateo Mujica y Urestarazu; D.D. at the Cathedral of Pamplona Navarra. Six months after his ordination, Fr. Lerena was sent to the Philippines as a Recollect missionary. He was assigned as assistant parish priest of Calapan, Mindoro on December 18, 1925 and on March 7, 1926 he was transferred to Naujan as parish priest. On September 29, 1929, he was assigned as parish priest of San Pedro Apostol Parish at Cavite Puerto. As parish priest of San Pedro, he was also in charge of the Ermita de Porta Vaga, the shrine of the Virgen de la Soledad de Porta Vaga. It was here where started to become a tireless promoter of the devotion to her. When he saw the pitiful condition of the Ermita, Padre Pedro had more pews, windows, and electric chandeliers installed to lighten up the interior of the Church. He also placed a communion rail made of narra and marble flooring. He spared no expense to encourage the people to come to the Church and become fervent devotees, like him, of the Soledad. As an expression of his love for the Virgin, Padre Lerena wrote the well-crafted lyrics of the song “O, Purisima Flor,” the music of which was adapted from the hymn composed by Fr. Domingo Canciller O.A.R. for the Lady of Mt. Carmel. In those days, it was quite a musical experience and truly delights to attend mass at eh Church of Cavite Puerto. As pastor of Cavite Puerto, Fr. Lerena knew his flock and touched their lives in his own personal style. He visited them in their homes and shared their joys, sorrow, pains and hopes. Fr. Lerena was known for his generosity. He did not charge various church fees, such as weddings, baptisms special masses and funerals. As far as parishioners could recall, he did not undertake any fundraisings activities for his parish. He personally spent for church repairs. Fr. Lerena came From a wealthy family in Spain who owned various vineyards. He had another brother, also a priest and known as an ascetic, Fr. Paulino Lerena. In Ghit’s case, Fr. Lerena would have financed her entire education up to a masteral degree if she only persisted. Instead, Ghit finished a Bachelor of Science in Education degree and eventually became a teacher. Some of her other co-scholars were not able to finish since they opted to get married early. Known for his kind-heartedness and strict but austere lifestyle, Padre Pedro was known for being an avid cigar-smoker. He would converse with his parishioners passing by his veranda daily, puffing away with his famous cigar trademark tobacco. His surroundings were always neat and tidy, with only a boy to take care of his personal needs. Regarding his devotion to the Virgin of Solitude, Aling Puring points to Fr. Lerena as the one who really propagated the devotion to their patroness. “He even brought the original icon in his car to the International Eucharistic Congress. During the procession he would point her out to the crowd and say, ‘Oy, este Nuestra Señora de la Soledad de Porta Vaga. !’ ” During fiesta time in San Roque, he would be seen waiting at the Church door entrance waiting for the icon to be brought out and back yearly, until he passed away in 1972 at the age of 71. He died on a heart attack while preparing for his six o’clock mass. So intense was Fr. Lerena’s love for the Caviteños that he chose to stay with them even amidst the danger and sufferings of the Second World War. When Japanese soldiers took the image of the Virgin from the Ermita de Porta Vaga, he lost no time in making representations with the high command of the Japanese Imperial Navy. His efforts were rewarded when one day, found the lost icon at one of the junkyards of Sangley Point. He immediately brought the priceless icon to the Archbishop’s Palace in Intramuros. Later, when he saw the impending bombardment of Manila, hid the image in one of the safety vaults of the Philippine National Bank. 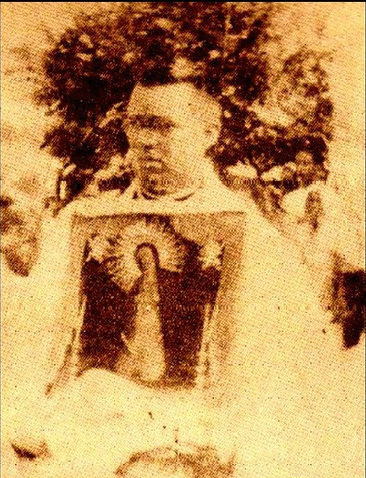 In 1945, Padre Pedro brought back the image of the Virgin to Cavite. At that time the Puerto was totally razed to the ground. The Ermita was completely destroyed. Only one Church was left intact-the Church of San Roque. Padre Pedro was appointed of parish priest of San Roque and there, he enthroned the Virgin in one of the side altars, where she is well-secured at present. He was also able to salvage some of the bells of the Ermita which are still being used at San Roque Church to this day. As a zealous pastor, Padre Pedro saw to it that children were taught catechism. As the only priest in Cavite City at that time, he had to minister to all the people of San Roque, San Antonio, Caridad, Sta. Cruz and the Puerto. He carefully organized the catechetical program in each district of the city. As parish priest, Padre Pedro much for the physical improvement of San Roque Church. In 1963, he undertook the renovation and enlargement of the buildings. He elevated its roof and added two wings attached to the nave to be able to accommodate all his parishioners. He had a beautiful altar, carved by a Caviteño sculptor. Felix Villamarin. Whenever he would take a vacation in Spain, he would bring back precious sacred vessels. One time, he brought back a small pipe organ for the Church, a gift from his family. He was a meticulous pastor, especially when it came to Church matters. Reflecting the great discipline that he imposed, he made sure that the Church was well-kept at all times. He was very particular with the cleanliness of his surroundings, the maintenance of the sacred vessels and Church linens. He saw to it that his Church was worthy of holding magnificent liturgical services that he would celebrate. In matters of decorum, he made sure, he made sure his parishioners wore proper and modest attire particularly as they lined up to receive Holy Communion. He had ushers who saw to it that people received communion in an orderly and solemn manner. Since he personally knew his parishioners, he made sure that those received first went to confession. Every Saturday afternoon at four, he would be found seated at the confessional box waiting for penitents. Even the flowers inside the Church had to be in harmony with liturgical colors. Vestments were always the best and the finest and mostly imported from him native Spain. Thus the flowers, altar cloth and songs were always in keeping with liturgical prescription. As a result, the sacredness and solemnity of his masses and other religious services succeeded in bringing the people in close contact with the Divine. As a lover of music, Padre Pedro so to it that his choir was well rehearsed for every service. Not only the choir but also his churchgoers were well-instructed when it came to liturgical music. He himself would track the songs and would not stop until the choir and churchgoers learned them well. He would check whether his singers’ tune and a harmony met his rigid standards. When the Second Vatican Council ordered more laity participation in Eucharistic Celebrations, Padre Pedro personally practiced his parishioners in how to respond during services and in the singing. He would make sure everyone inside the Church had copies of the prayers and songs, and the latter learned and well-rehearsed. On the personal level, the tall, regal-looking, ruggedly handsome Padre Pedro had a powerful voice. He had simple tastes. His food, even if he loved to eat, were considered austere. He kept most of the gifts given to him so that after his death, a lot of unused personal effects were found in his room. If he was magnificent and rather flamboyant with Church vestments, he was quite modest in his ordinary attire. Fr. Pedro Lerena’s efforts and accomplishments in his parish, especially in his austere lifestyle and well-managed stewardship did not go unnoticed. 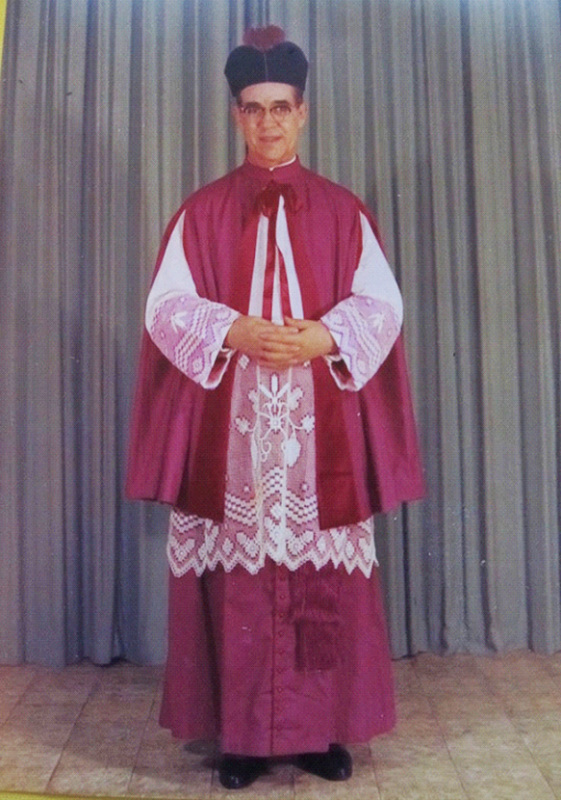 In June 1962, he was appointed to the following positions: As Fiscal and Defender of the Bond, to the Matrimonial Tribunal of the Diocese of Imus, and as Superintendent of Catholic Schools. On June 20, 1964, he was promoted to the dignity of Domestic Prelate by His Holiness; Pope Paul VI was solemnly invested together with Monsignor at the Manila Metropolitan Cathedral on November 30, 1964 by the first Bishop of Imus, Most Rev. Artemio Casas, D.D. He was also appointed Diocesan Superintendent of Catholic Schools, member of the Diocesan Financial Board and Chaplains of the Apostles of Mary. Fr. Lerena was also instrumental in establishing St. Joseph College of the Augustinian Recollect sisters and San Sebastian College of the Augustinian Recollect Fathers. This was proof that even if he became a member of the diocesan clergy during his stay in his parish in Cavite, he still expressed his affection and links to his religious order. In spite of his strictness, his parishioners loved him in return. In his sickness, he became less active in parish affairs, the zealousness he showed during his early years were never forgotten by his parishioners. He even had his younger brother, Fr. Paulino Lerena, an Augustinian Recollect, as his assistant for several years. All of Cavite’s parish priests as well as the Recollect fathers from various convents in the Philippines attended his funeral held high noon at the Catholic Cemetery of Cavite City. With reverence, the Filipino priests first carried his remains which were placed in a third class casket in line with his simple taste. They were followed by the Spanish priests as they neared his final resting place in the very city of the people he loved and served for most of his religious life. 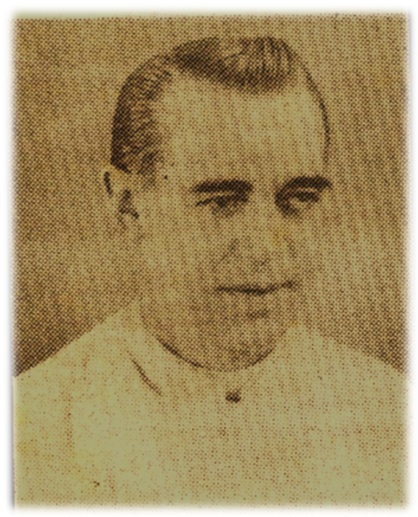 Till the last moment, Padre Pedro Lerena manifested his desire to be with Caviteños. In life and in death, he loved them and was truly one with them. He chose to remain in Cavite as a Caviteño, rather than a Spaniard. For their part, Caviteños remember him today with fondness because of his spiritual influence on them, but most especially for his wholehearted dedication to the cause of spreading the devotion to the Nuestra Señora de la Soledad de Porta Vaga. In the centuries old tradition of our Catholic faith, the Faithfull’s spiritual devotion sustained through generation of church’s teaching and ministries has kept alive the spiritual legacy handed down to us by our forefathers. Spiritual devotion expresses the depth of a person’s love, faith and veneration to God, the Blessed Mother or the saints. It is manifested in thousand and one ways. To some, it is an armor shielding them from the dangers and falls that await along life’s path. To a chosen few, it is a commitment embedded deep into the core of one’s being. Countless people of different times and places of origin have shown their deep devotion to the Virgen de la Soledad de Porta Vaga. There are those whose devotion is kept in the confines of their hearts while there are some whose personal devotion has given them the zeal to share the devotion to others and to make her know to all. Once upon a time we had a pastor, a father and teacher who gave up his own family, his country and the religious order where he belonged for the love of the Virgen de la Soledad and the city of Cavite. The Rt. Rev. Msgr. Pedro Lerena y Lerena D.P was born in Berceo, Logrono, Spain on January 31 1901 to Don Victor Lerena and Doña Joaquina Lerena. His father a devout Catholic would always bring him to church to pay homage to the Blessed Sacrament while his mother would sowed in him the deep devotion to the Blessed Virgin Mary. Early in life, he heard the call to the religious life. He entered the Augustinian Recollect Seminary of San Millan de la Cogolla in Logroño, Spain where he finished Latin. Then he was sent to Monteagudo in Navarra for his Philosophy. He took up Theology at Recollect Seminary in Marcilla Navarra. On September 21, 1918 he made his religious profession taking the name of Fray Padre Lerena Y Lerena del Rosario. Fray Pedro Lerena, OAR wrote a poem on the occasion of his solemn profession. He was a poet whose poems were published in the bulletin of the Augustinian Recollects. On June 14, 1925, Padre Pedro as he was fondly called by Caviteños was ordained priest by the Most Rev. Mateo Mujica Y Urestarazu, D.D. at the cathedral of Pamplona in Navarra, Spain. A few months after his ordination he left Spain on August 28, 1925 to take his first missionary post in the Philippines. When he arrived in Manila, he stayed at the Casa Provincial in Intramuros where he had his initial studies of the Tagalog language. Then on December 18, 1925 he was sent to Calapan Mindoro Occidental as assistant parish priest. On March 7, 1926 he was sent to Naujan as parish priest. 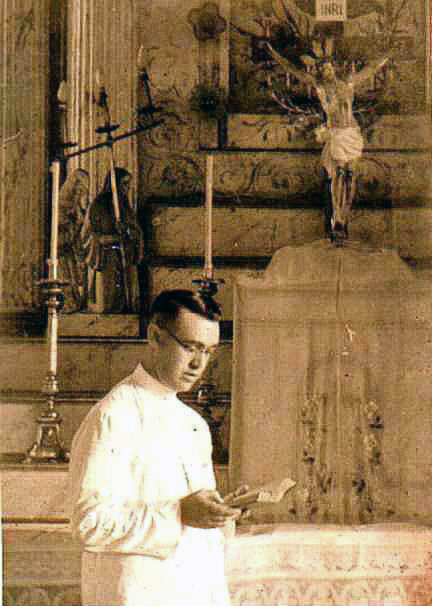 On June 13, 1929, Padre Pedro was assigned in Cavite Puerto as parish priest of San Pedro Parish and rector of the Sanctuario dela Virgen dela Soledad. Since then he remained in Cavite as a dedicated pastor of his flock for forty three years. Padre Pedro immediately undertook the repairs and beautification the parish church of San Pedro and the Ermita de la Virgen de la Soledad. In 1931 he opened more windows at the Ermita. He installed a new communion rail made of narra and marble. He also hung electric chandeliers. He saw to it that solemn and magnificent rituals were held regularly in honor of the Soledad. He also undertook the renovation of the casa parroquial of San Pedro. Padre Pedro came to known and love his parishioners. In the small world Cavite Puerto, an exact copy of the Intramuros de Manila, he felt at home for people spoke Spanish or Chabacano. He visited their houses, and knew each family. He preached eloquently and having a baritone voice he would sing his masses as if one listened to arias of opera. He became a close friend of Prof. Jose Ruiz a renowned Caviteño composer and church organist as well as Don Julian Felipe the composer of the Philippine National Anthem who also became organist of San Pedro. It was Padre Pedro who would always remind people that it was Julian Felipe, who composed the song Reina de Cavite in 1892 in honor of Cavite Patroness. Padre Pedro so loved the Virgen de la Soledad and the Caviteños that when it was time for him to be transferred to a new assignment he decided to leave the Augustinian Recollect Order to become a secular priest and to spend the rest of his life in Cavite. Padre Pedro’s love for Cavite and the Virgen dela Soledad was proven when he chose to stay with his people in Cavite amidst the dangers and sufferings of the Second World War. On December 10, 1941 Cavite Puerto was bombed by the Japanese Imperial Air force. The Japanese initial bombing of Cavite destroyed the once Spanish citidel and the Ermita de Porta Vaga was one of the casualties. For sometime, nobody knew what happened to the Virgen de la Soledad. When Padre Pedro went to the damaged church he found the altar empty. He started searching for the Virgen. He lost no time in making representations to the High Command of the Japanese Imperial Navy who was then in-charge of Sangley Point. His effort was not in vain for in a short time he found the image of Virgen de la Soledad in one of the junk yards at Sangley Point. The good Padre immediately brought the image of the Soledad to the Archbishop’s Palace in Intramuros, Manila. The Caviteños can never be deterred in honoring their beloved Mother. In November 1942, the fiesta of the Virgen de la Soledad was held in Quiapo Church with his faithful devotees and their pastor braving the dangers of the time. In 1943 and 1944, the fiestas of the Blessed Mother were held at the Metropolitan Cathedral of Manila with Padre Pedro and the Cavite faithful giving their Queen the fitting homage as permitted by the circumstances. Later, when Padre Pedro realized the impending bombardment of Manila during it’s liberation, he took the image of the Soledad and kept it in one of the safety vaults of the Philippines National Bank. In 1945, amidst the rubbles of the war Padre Pedro lovingly brought back the icon of the Virgin to Cavite. However, Cavite Puerto was totally destroyed because of the carpet bombing of the Americans during the liberation. The Ermita de la Soledad is gone and nothing of the old world of Cavite Puerto was left. What remained were ruins of the once magnificent second capital of the Philippines. Outside of the Puerto was San Roque Church, the only landmark of the Catholic faith that survived the travails of the war. The Virgen dela Soledad was enthroned in San Roque Church just in time for her fiesta in 1945. This inspired the poet in Padre Pedro and he adapted the music composed by Fr. Domingo Canceller OAR in honor of Our Lady Mt. Carmel for his poem “O Purisima Flor”. In this song he said Hoy tus hijos te ofrecen con celo otro templo y otro altar (today your children offers you with zeal another temple another altar). Padre Pedro started to beautify the church of San Roque. He raised the ceiling of the church and in the 1960’s he greatly enlarged the church. He commissioned Felix Villamarin a renowned Caviteño sculptor to carve the altar of San Roque. Statues of saints done at the atelier of Maximo Vicente were enshrined in the altar of San Roque. Whenever he went to Spain for his short break, he would bring home precious sacred vessels, liturgical vestments and other sacred furnishing. Once he brought home a small pipe organ a gift from his family. He did his best to beautify the church. Padre Pedro was known for his strict discipline. Everything was in order. The church was always clean. All the sacred furnishing where of highest quality. His masses were magnificent and solemn. He saw to it that music was given much importance and attention. During his time all church properties were properly kept and everything was handled with so much reverence. As a person he was always warm to people. He might be strict but he knew his people and he love them well. As a proof that he has entered into their lives, he would have no hesitation in advising whom to choose as their partner in life. He would even suggest the names of children in baptism. He encouraged the teaching of catechism and heard thousands of children’s confession. The participation of the people in the liturgy especially during initial implementation of the Second Vatican Council decrees was given much attention. He practiced the people personally whenever new songs are to be sung during each liturgical season. As a person he had simple taste. His food was austere, his cassock’s were usually old and worn out but once in the altar his vestments were superb and elaborate because he believed that what is for God should always be the best. He sent many young people to school for he always had a kind heart for the poor. He was fond of children many remembered that out of the blues he would throw coins to pupils of St. Joseph College to make them happy. He was not free from frailties and failures but he always maintained the dignity of the priesthood. In the 1960’s he had an assistant parish priest for a while in the person of his brother Fr. Paulino Lerena y Lerena, OAR. Padre Pedro also had his cousins to invite during the fiestas of Cavite. Fr. Pedro Peña Lerena, OAR and Fr. Constancio Peña Lerena, OAR were always present. Though he had become a secular priest the Recollect Order was always dear to his heart. 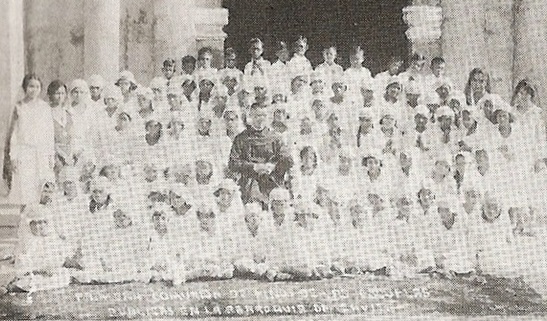 In 1945, he immediately encouraged the establishment of the St. Joseph College run by the Augustinian Recollect Sisters at the back of San Roque Church. He was also instrumental in bringing back the Recollect Father in Cavite when San Sebastian College was established. 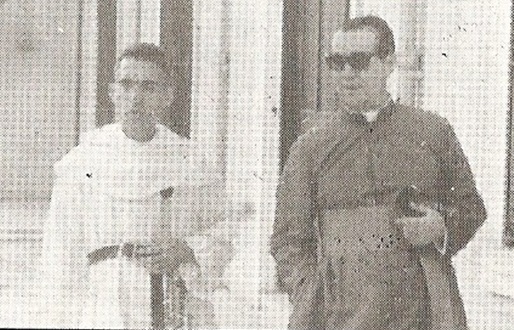 When the Diocese of Imus was established in 1961 Padre Pedro occupied various posts. On June 5, 1962 he was appointed Fiscal and Defender of the Bond in the Matrimonial Tribunal. He became the Superintendent of Catholic Schools, a member of the Diocesan Financial Board and spiritual director of the Apostolatus Maris. On June 20, 1964 he was promoted by Pope Paul VI to the dignity of Domestic Prelate. 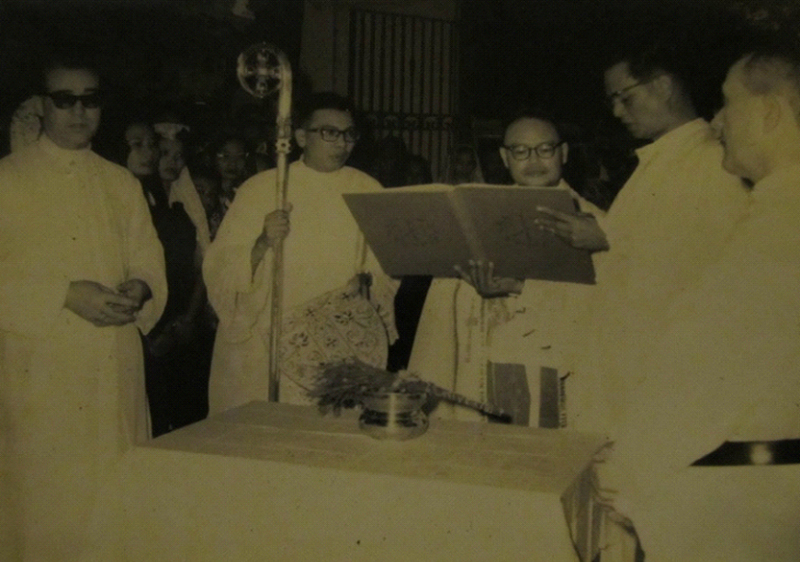 On November 30, 1964, Padre Pedro together with the other seven clergy of Cavite were invested with the title of Monsignor by Bishop Artemio Casas at the Metropolitan Cathedral of Manila. In his later years, Padre Pedro became less active but he never wavered in his devotion to the Virgen de la Soledad and the fulfillment of his priestly ministries. Every afternoon people would see him walking around the patio of the church praying his breviary or perhaps would see him sitted at the veranda of the convent smoking tobacco. He always had a lot of stories to share about the Virgin and the way of life of Caviteños in the old Cavite Puerto. He was our link to the bygone days of Cavite. He was always a Recollect by heart. In his last hours he decided to return to the Recollect Order. Padre Pedro succumbed to a stroke and passed away on May 25, 1972 at the San Juan de Dios Hospital. For a few days he layed in state at the San Roque Church while the church bells tolled every 30 minutes. Thousands of people paid their respect to the pastor who has given them so much of himself. In return they gave him a solemn and grand funeral that will be long remembered. He will never be forgotten by the Caviteños for he spent the greater part of his life with them through thick and thin. He is best remembered as the guardian of Cavite’s most precious treasure, the more than three hundred years old icon of the Virgen de la Soledad de Porta Vaga.